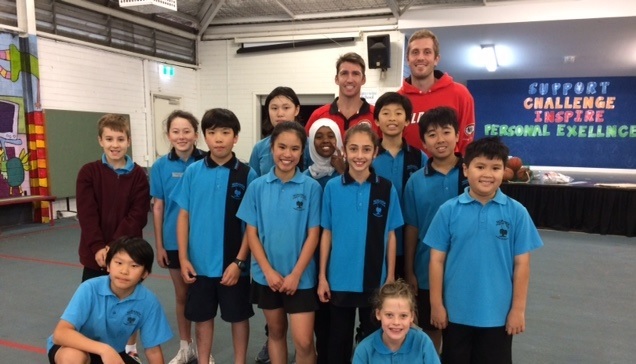 On Friday 25th May, the Interschool Basketball squad were treated to a clinic from two members of the Perth Wildcats. Damian Martin and Jesse Wagstaff were here to show us just how it’s done and to have fun as well! The students also received a signed t-shirt and poster. We’re sure the session will help us in our remaining games.